The number of deaths in drink-drive accidents on Britain’s roads soared by 26% in 2012. 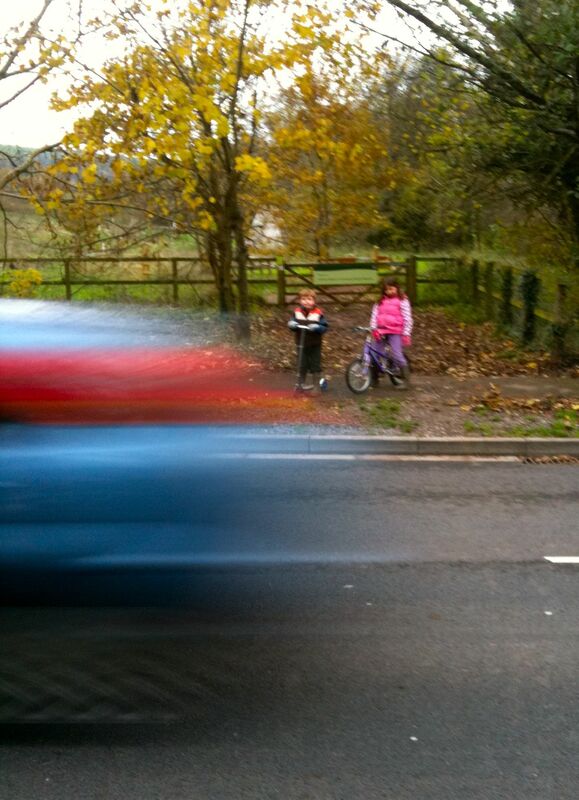 This is a picture of my children waiting to cross the road near Honiton Bottom Road with cars whizzing past! Honiton Green Candidate Sharon Pavey is demanding that the town makes it’s roads safer for children and other pedestrians. The East Devon Green Party recently surveyed 200 people in Honiton and 70% said they think cars drive too fast in Honiton. A substantial 67% of Honitonians were in favour of introducing some 20 mph zones in town. The Greens think that 20 mph zones should be in place outside our schools and parks including the Brand Meadow park on Battishorne Way. Currently families are unable to cross Battishorne Way safely to get the new Brand Meadow nature reserve and play park. Sharon uses the park regularly with her two children aged nine and five and also crosses there to walk her dog on Roundball Hill. Results of the resident’s surveys also highlighted the need for a safe crossing on New Street, and a 20mph zone outside Littletown and Millwater Schools. Residents also commented that the Exeter Road roundabout near Sidmouth Road was a dangerous place to cross as cars exceeded the 30mph speed limit on the Exeter Road. URGENT: New footpath and cyclepath in Ottery – show your support by 24 Dec! At last, the planning application for the long-awaited footbridge, path and cycleway between the Land of Canaan and the King’s School has been submitted to East Devon District Council. This is very welcome news! Sustainable Ottery has been campaigning for this new path and bridge for several years now – alongside Ottery’s Town Council and many of the town’s residents. All the funding has now been secured, thanks to the combined efforts of our local councillors and a substantial grant from the Lottery (via Sustrans). So we simply cannot let this important project falter at the final hurdle. The application can be viewed on the East Devon District Council website (10/2341/FUL). To be sure that EDDC planners give this project the green light it deserves, we need supporters to post a supportive comment on the website. We know it’s a busy time of year and we apologise for not giving you more notice. But just a short paragraph or a few words will suffice. Please go to http://planning.eastdevon.gov.uk/online-applications and in the box, key in application number 10/2341/FUL. Then just click on `Comments’ and leave a supportive comment. The deadline for online comments is 24 Dec 2010. Alternatively, you can send a supportive comment in writing (quoting application no. 10/2341/FUL) to: Planning Department, EDDC, Knowle, Sidmouth, EX10 8HL. The proposed bridge and footpath/cyclepath will create a badly needed link between the centre of town and the west side of Ottery – particularly the hospital, the secondary school, and the Thorne Farm Estate. Up until now, the west has been cut off from the rest of town by a busy main road. It will provide a safe and traffic-free route to and from school for hundreds of Ottery schoolchildren, avoiding the highly dangerous Barrack Rd/Mill St route. It will reduce car journeys in Ottery as more people walk and cycle between the town centre and the west of Ottery – thereby reducing the town’s carbon footprint. It will encourage people to take more exercise and contribute to a healthier community. If possible, please do include a personal comment about how and why this project matters to you. Thank you in advance for your support. Cross fingers the plans will be approved and construction will begin before the end of March 2011. Advance notice: We understand the meeting of the relevant EDDC planning committee to decide on the application will take place in the council chamber at Knowle on Tues 11 Jan (at 2pm we think). The meeting is open to the public and we are encouraging those supportive of the project to attend in person. That way, we will send a clear message to district councillors that this is a project local residents really care about, and one which we have waited a long time for and which must go ahead regardless of the current economic climate. So if anyone is free that afternoon, please pencil 11 Jan in your diaries. If the date and time change, we will let everyone know. 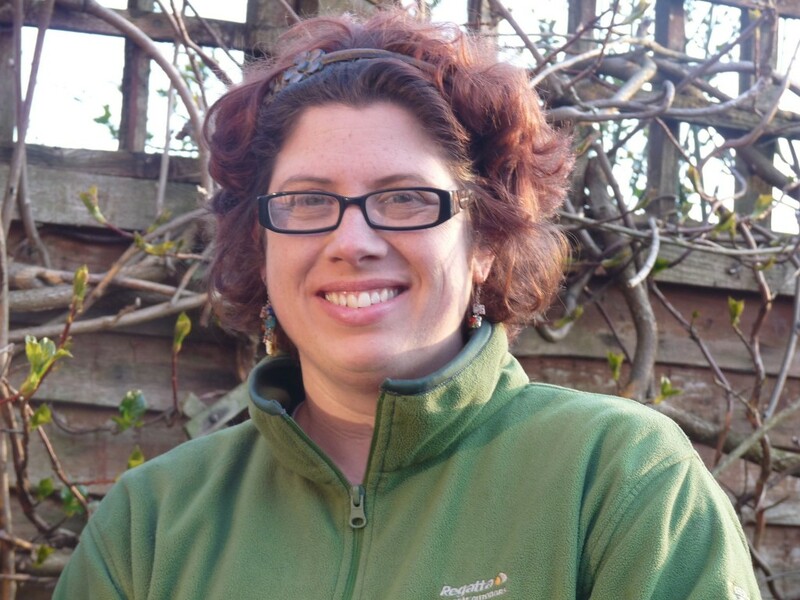 You can also ring Helen Collinson on tel 01404 814078 or e-mail info@sustainableottery.org.uk if you have any questions. The UK’s first permanent hydrogen bus will be launched on a popular tourist route in London today. 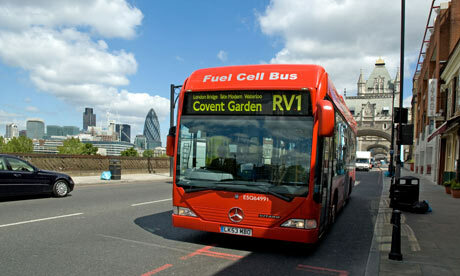 Seven more hydrogen buses will be added to the RV1 route – which takes in Covent Garden, the Tower of London and the South Bank – by mid-2011. The initiative, which follows a trial of three hydrogen buses in the capital between 2003 and 2007, has been described as a “stepping stone” to rolling out the technology across the country. The launch will also coincide with the opening of the UK’s largest hydrogen refuelling station in Leyton, east London. Co-cars is a successful car club that runs 7 cars in Exeter, Topsham and coming soon to Taunton, are now interested in expanding its services to the Blackdowns Hills area of East Devon and Somerset. From Wellington to Sidmouth and Woodbury to Axminster and all towns in between! Car Clubs offer ‘pay as you’ go motoring with access to hatchback and estate cars available 24/7 via online booking with their own dedicated parking space. The car is maintained and fuelled by us, all you do is book it and use it and pay per a mile and per hour, with the first 10miles free. We cover purchase, servicing, insurance, tax and all fuel costs etc. We would be keen to hear from any person, group or business that would be interested in a car club in this area in the next few weeks up until mid November, and would be happy to come and meet, do a talk or help you promote the idea to others. We are a 5 year old not for profit co-operative company based in Exeter, which aims to encourage sustainable transport, access to mobility, help people reduce there car costs and carbon emissions. Our satisfied customers range from many private households to small businesses and large organisations. More details of how the car club operates can be found on our website: www.co-cars.co.uk. This website will be updated with Taunton car club details in the next few weeks. If you are interested, please let us know by replying to the email address or telephone number below. Alternatively, if you know anyone who may also be interested in Co-Cars in their area, please forward this email. You may have some contacts or ideas for publicising the car club, in which case please let us know. If you are interested in the car club but are outside the Blackdowns area please do get in contact anyway. Did you know? – There are currently car clubs running in 48 towns and cities across the UK, representing over 104,000 members using 2,322 cars. Sound and decent policies on income tax and NI, but how will they be financed – and is there an appetite among the electorate for tax raises or service cuts to finance the additional help for lower end earners. Hopefully the answer is yes, if you succeed in the ‘Fair is worth fighting for’ theme. Thanks for your comments! In terms of financing our commitments, we have a number of proposals. First, to scrap existing projects which we don’t support: cancelling the replacement of Trident nuclear weapons would save around £78 billion over its thirty year lifetime. We’d also scrap plans for new aircraft carriers, ID cards, more road building etc. But we’re also clear that we need more progressive taxation – in other words, more taxation for those who can afford it. So we would introduce the new higher rate of income tax at 50% for incomes above £100,000, and abolish the upper limit for National Insurance contributions. We’d also increase the main rate of corporation tax from 28% to 30%, and raise Capital Gains Tax from 18 to 22% to match the basic tax rate. We’d reform Council Tax, so that people in more expensive homes would pay more, and would support a tax on bankers’ bonuses. We’re also supporters of the so-called Robin Hood tax, on financial transactions. Essentially we want to see a much more equal society, and research suggests a majority of people in the UK support that. It’s not right that the top 10% in this country today have 100 times more wealth than the bottom 10%, or that – proportionately, when indirect taxation is taken into account as well – those on lower incomes pay more on tax, as a percentage of their income, than those on higher incomes. I was curious at to how The Green Party would aim to improve the public transport system? ?I do drive a car and in all honesty,as much as I would like to use buses more,its just not feasable.We have an incredibly unreliable bus network where I live.We have gone from a bus every 15 mins to our town centre to IF they can be bothered to turn up a bus every half an hour.It makes it near on impossible to use the bus if I have a definate commitment time wise.Also it is getting stupidly expensive.The last time I caught a bus it was heading up to near on £5 return!.If we are to be encouraged to rely on public transport more,we need a system that we can guarantee is going to be efficiant with regards to punctuality and is affordable.At the moment it is probably cheaper for me to use my car! Making it easier for everyone to make green choices is high on my agenda – and I agree that it is vital this applies to people from all backgrounds. An insulated home and good quality locally grown organic food, for example, should not just be available to those that can afford to pay a premium. That’s why so many of our policies are designed with the idea of fairness in mind – be it providing grants for loft insulations or really challenging the grip that supermarkets have on our food production system and the extent to which they distort pricing and eg put small growers out of business. On transport especially, I want to see a massive investment in infrastructure coupled with pricing policies that help eg the elderly or those on lower incomes. I believe that privatising public transport was a huge mistake and means that providers only run services that they can make a healthy profit on – rather than to meet genuine community need. So, the Green Party would reverse this and prioritise reliable, affordable and accessible transport that really is for the public. I know people choose cars because all too often that is cheaper or more convenient, so what I want to do is make the opposite true – for public transport to be the easy option and to get as many people as possible out of their cars. That doesn’t mean I am anti anyone using a car – I just don’t like the way they have come to dominate our lives and I know lots of cars drivers who’d like to spend much less time in traffic jams! Wanted to share the Traveline South West website with you as I’ve found it really useful. I’ll have to walk 4.4 miles to get to the nearest bus stop but once there, I’ll take two buses which is supposed to take about an hour. Only snag is the change time in between the buses is just 6 minutes so high probability I’ll miss that then I have to wait an hour for the second bus making the whole journey take 2 hours – add on about an hour and a half walking time (in the snow!) we’re looking at 3.5 hrs worst case scenario. 2.5 hrs if my buses are on time and I manage to change! You can see why cars are the easy option for most people can’t you – a car journey from here to Sidmouth is 16.9 miles and would take 34 mins!